Natalie Reitz started taking cooking classes a year ago. Since then, the 8-year-old and her mom, Jen, have completed 10 classes at Crate Cooking School. Reitz is proud of the way her daughter can now put together a complete meal of healthy food for the whole family. But she is most impressed with the confidence the classes have instilled in Natalie, even beyond the kitchen. Natalie has learned how to read a recipe all the way through, the technical aspects of using a knife, plus math skills of fractions and timing. She knows the rules of hair back, closed-toe shoes, apron on, hands washed. Ready to get your junior chef started? Here are five places where kids and cooking go together like mac and cheese! 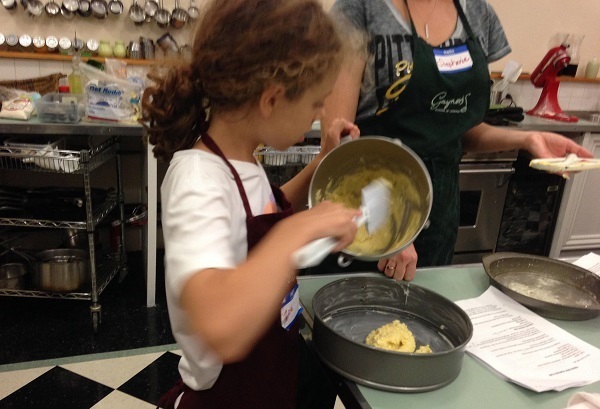 The interest in kids cooking classes continues to grow at Gaynor’s Cooking School. 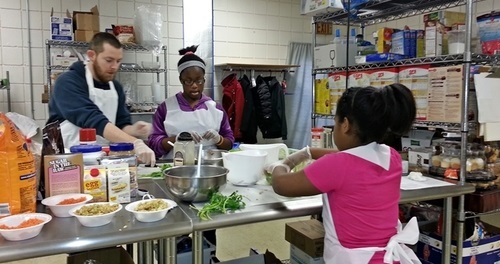 Kids classes are a big part of Gaynor Grant’s calendar of cooking classes on the South Side. Throughout the year, Gaynor’s Cooking School schedules classes for ages from 2 to 18. 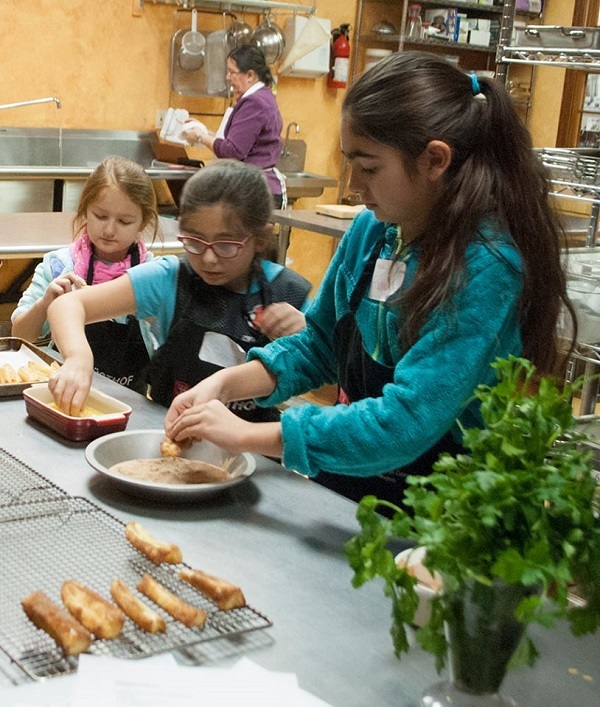 Interest in kids cooking classes continues to grow, along with the curriculum. Kids can participate in taking lessons as elaborate as making sushi, baking bread or rolling out and filling pies. Mommy (or Daddy) & Me classes for preschool kids are regularly scheduled. Family Fun Nights allow the whole gang to prepare and eat a meal together. Watch for holiday-themed classes – Scary Halloween Treats, Gingerbread Houses – and get in on the fun. Classes are planned for school holidays as well. Week-long summer camps are on the calendar, too, with the opportunity to fully immerse in, say, pastry making. Private cooking class parties are available for Scout troops, school groups and birthdays, too. Learning health and safety – washing hands, for example – is paramount. And kids love getting hands-on with equipment like whisks and mixers. Kid cooks enjoy working in a professional kitchen under the guidance of chef instructors at Crate Cooking School. All of the kids cooking classes at Crate include an accompanying adult. Sometimes it’s Mom or Dad, other times it’s Grandma or a favorite aunt, which can add to the attraction for these junior chefs. The mouth-watering variety is appealing for its flavor, as well as the skills being taught. Take Me Out to the Ballgame includes homemade soft pretzels with sweet mustard dipping sauce, hot dog sliders, oven-baked seasoned fries with homemade cheese sauce, caramel popcorn crunch and root beer float. The Summer Picnic menu lists fruit salsa with cinnamon and sugar baked chips, skewered chicken bites with orange balsamic dipping sauce, homemade beet hummus with veggies and strawberry shortcake. A class called Oodles of Noodles takes kids from the start of the dough to the finished pasta. A trio of sauces accompany the noodles — butter, cheese sauce, and red sauce. And for dessert, kids will make a Nutella pizza from scratch. Kids work together in different stations, adding a social facet to the culinary skills. The Children’s Table’s hands-on approach is the first step to helping kids make better food choices. Lisa Ferguson had a higher purpose in mind when she founded the Children’s Table 12 years ago. Children’s Table has a few different components. There are Mommy and Me classes and those for older kids, as well as traveling classes hosted by Girl Scout troops, schools, and church groups. In outreach programs, under a non-profit arm, Ferguson teaches homeless kids and those in food insecure situations how to eat healthier with ingredients that are available from a food bank. Children’s Table introduces the concept of “eating clean” and avoiding processed foods. A chicken nugget, for instance, can be made at home and be just as good, but lots healthier, than its fast food counterpart. Some classes have themes, such as the Passport to Flavor, with classes that cover food from around the world – cilantro lime pasta salad, soba noodles with fresh vegetables, truffles related to Mayan cocoa beans, and a berry cobbler made in a mug. “Our program integrates not only reading skills but cognitive skills and social skills,” Ferguson says. Math is a component, too, when kids are asked to convert cups to ounces, for example. Social studies is another aspect when they cover the origins of certain foods, how they got their names and why they’re popular. The programming is all hands-on. “We don’t do demonstration because the best way for kids to learn is through actually participating and doing it themselves,” Ferguson says. Children’s Table’s Mexican War Streets facility is currently undergoing renovations. On-site classes will resume in the fall. Experiments with food are part of the fun at Carnegie Science Center’s Body Stage shows. 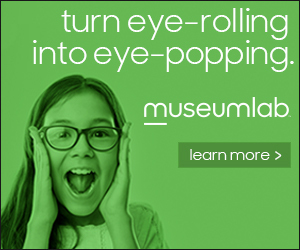 Carnegie Science Center branched out from its Kitchen Science programs to go beyond mere recipes. Body Stage looks at the chemistry of food as it’s cooked, how it’s cooked – and what happens after you eat it. The live shows are as entertaining for grownups to watch and they are for the kids participating. Older kids might make mozzarella cheese in a class called Say Cheese! They learn the process of cheese making from cow to table. Participation is key in teaching the scientific concepts. In a show about ice cream, kids go on stage and are asked to dance like molecules. As the temperature cools, those molecules dance more and more slowly to demonstrate what is happening on a molecular level. 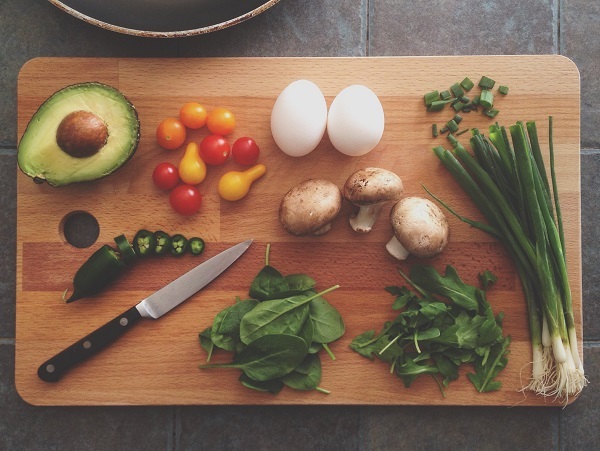 “Cooking and eating are essential for life, so it’s a really good way to introduce not only chemistry and science but your math and problem-solving skills,” Iwaniec says. One of her favorite shows is Taste the Rainbow, in which preschool kids learn to identify edible parts of fruit and veggies, how to clean them and classify them by color. They even prepare a nutritious snack. The regularly scheduled shows are included with admission. Just browse the daily schedule when you check in. 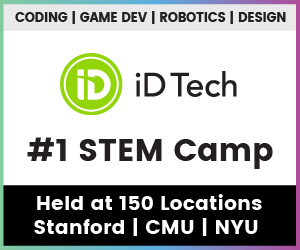 Want to try it at home? Follow this link to the recipes for frozen Creamy Custard and Shake The Bag Ice Cream or fire it up with Fruit Flambe. For older kids, knife skills are a basic skill taught at Market District Cooking School. The Market District in Robinson Township hosts Giant Eagle’s only cooking school in the Pittsburgh area. The kid-focused component fills up quickly. Each class is maxed out at 12 students, allowing one-on-one time with the chef instructors. For the youngest – the Small Fries, ages 5-8 – classes are geared to their level and abilities. The Peanut Butter Lovers class, for example, is both recipe themed and activity themed. They might prepare recipes like banana bread or a Thai noodle dish. Older kids – ages 11-16 — can turn to the Novice Boot Camp, which introduces kids to basic skills. They learn not just how to use knives for chopping and mincing, but how to care for knives. Kids will learn to access pantry items to make a meal and how to substitute ingredients. Other food-related classes in the kitchen include one on Food Etiquette and Table Manners for ages 12-17. The class shows the art of table setting and which fork to use for which dish. Basic manners are covered, plus more practical restaurant issues, such as how to order, how to ask for the check and how to calculate a tip. Watch the Market District website for updated class schedules.